Coming off an all-time annual sales record last year, the 2017 Acura RDX goes on sale tomorrow with incredible momentum and a manufacturer’s suggested retail price (MSRP)1 starting at $35,370 – unchanged from the current model. The 2017 RDX is offered by the luxury marque that KBB.com named as the luxury brand with the lowest projected 5-year cost of ownership and that Edmunds.com voted as the2015 Best Retained Value® Luxury Brand. The upgraded 2016 Acura RDX earned a 2016 Consumer Guide® Automotive Best Buy Award in the Premium Compact Crossover/SUV segment and Edmunds.com 2015 Best Retained Value® model-level award. 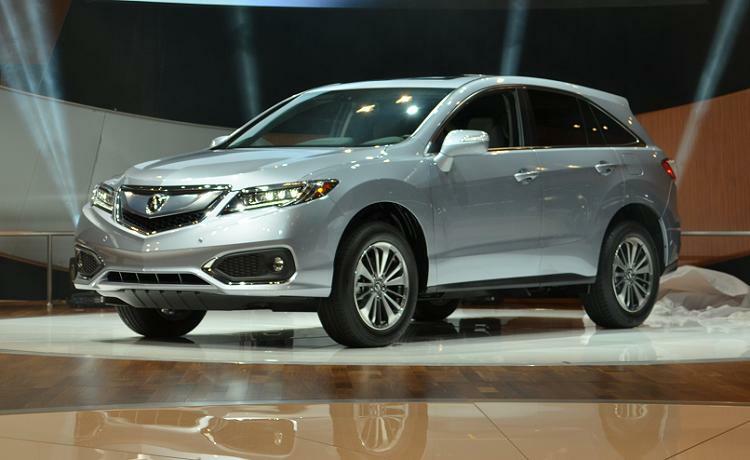 Significantly refreshed for the 2016 model year, the 2017 RDX retains the upgrades made last year, including a more powerful and fuel-efficient 3.5-liter i-VTEC® V-6 engine, ride and handling refinements, an expanded list of available AcuraWatch™ safety and driver-assistive technologies, restyled exterior and interior elements, and an increased compliment of luxury features and technologies, including Acura’s signature Jewel Eye™ LED projector headlamps and LED taillights. New for 2017 are two exterior colors, Lunar Silver Metallic (replacing Slate Silver Metallic) and Modern Steel Metallic (replacing Graphite Luster Metallic), and for the first time, the Ebony interior is available with the popular White Diamond Pearl exterior. The 2017 RDX interior has a premium black trim plus standard luxury features including heated front seats, second-row air conditioning vents, a power tailgate and Multi-View Rearview Camera. The 2017 RDX with Technology Package has numerous upgrades including a high-contrast silver and black trim, an 8-way power-operated front passenger seat, Acura’s dual-screen On-Demand Multi-Information Display (ODMD), HD Radio®, blind spot information (BSI), Rear Cross Traffic Monitor and Multi-View rearview camera with dynamic guidelines. The range-topping RDX with Advance Package features a grade-exclusive machined alloy wheel with grey painted surfaces along with a host of added luxury features including rain-sensing wipers, front fog lights, remote engine start, front and rear parking sensors, ventilated front seats, and an auto-dimming driver’s side mirror, along with standard AcuraWatch™ safety and driver-assistive technologies. While offered as standard equipment on the new Advance Package, all 2017 RDX models can be equipped with the AcuraWatch™ suite of technologies that includes Adaptive Cruise Control, Collision Mitigation Braking System™ with Forward Collision Warning, Lane Keeping Assist and Lane Departure Warning. In addition to available AcuraWatch™, the RDX includes the Advanced Compatibility Engineering™ (ACE™) body structure that enhances frontal collision performance. The 2016 RDX received top-in-class safety ratings – a 5-Star Overall Vehicle Score from the National Highway Traffic Safety Administration (NHTSA), and a TOP SAFETY PICK+ rating from the Insurance Institute for Highway Safety (IIHS), when equipped with the Collision Mitigation Braking System™ – ratings that are expected to carry over to the 2017 model. All 2017 RDX models with AcuraWatch™, which includes all Advance Package models, also get a 4.2-inch, full-color TFT Multi-Information Display with customizable information readouts such as average vehicle speed, fuel economy, fuel range, tire pressure monitoring system (TMPS) and turn-by-turn navigation prompts (when equipped with navigation).